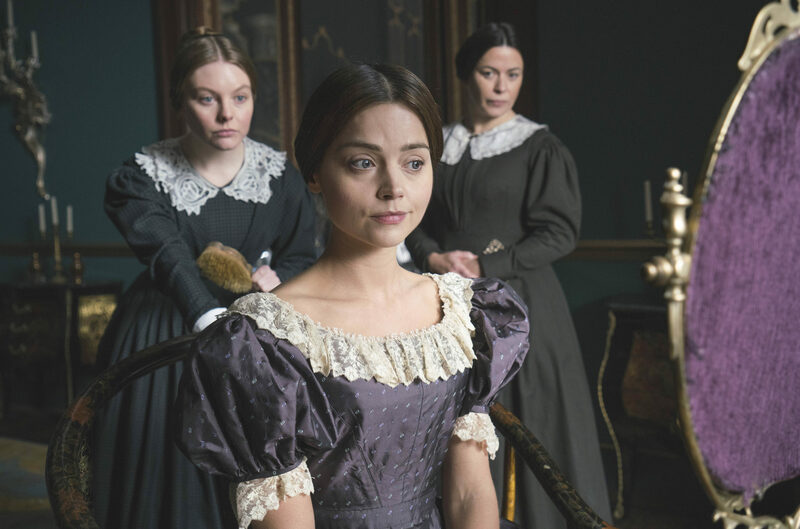 Eight months after leaving Doctor Who, Jenna Coleman finally returns to our screens in new ITV drama, Victoria. But, after all, the anticipation, is her first major leading role a right royal treat? The answer is a resounding and triumphant yes. 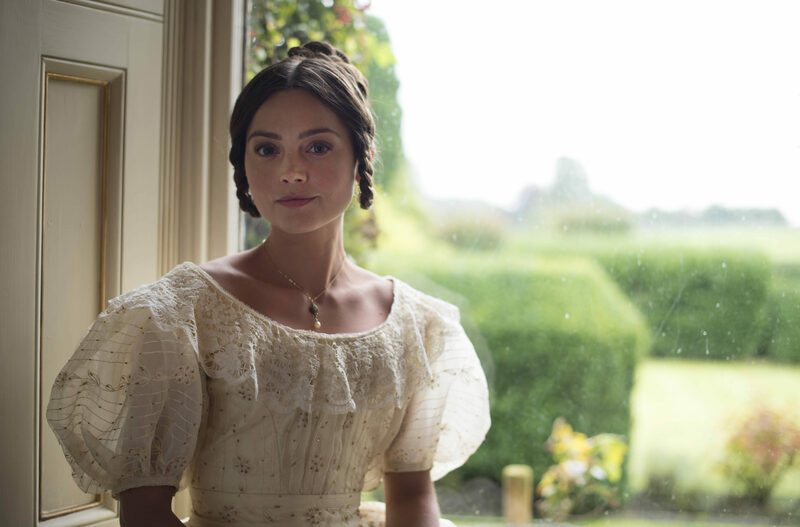 Jenna is every inch a queen as the young Victoria. Resplendent and full of vigour, there’s plenty of her talented acting range on show. 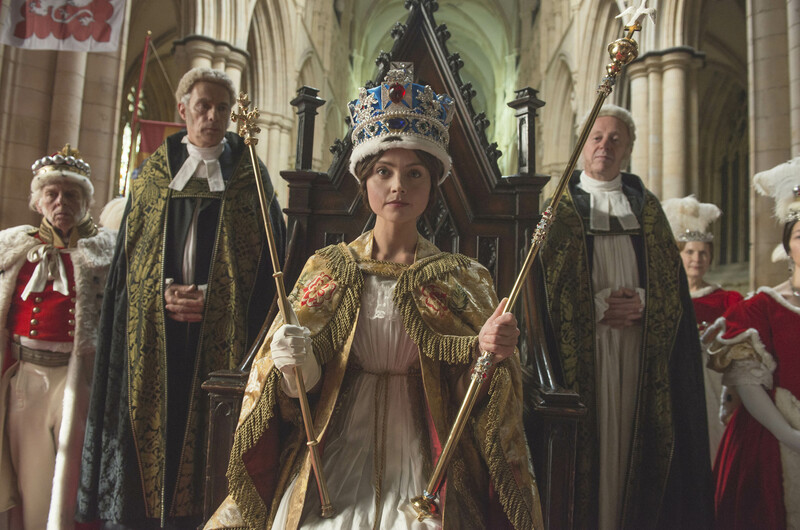 Her performance builds on what she learned as Clara, seamlessly moving from companion to royalty. There’s even some trademark running down corridors – except this time in corsets! Contrary to what history books might have you believe, Victoria is just an ordinary girl: fun and feisty. There’s even a scene in the first episode where she’s had one glass of champagne too many. Put simply, she’s flawed, and that’s what makes her such an interesting character. Jenna mesmerises from every angle, be it as the naive girl or the resistant sovereign. In these first two episodes alone she has so much to do and does so with aplomb. Already she shines, carrying the weight of the series and the historical figure she embodies. It’s impossible to take your eyes off Jenna whenever she’s on screen – perhaps if only for her sharp blue contact lenses! It may surprise some viewers that, for a story (mostly) based on fact, events are surprisingly dramatic. Victoria’s early years lend themselves well to the genre and it makes for an engrossing yarn. Thrust onto the throne at just 18 years old, Victoria (formerly Alexandrina) is struggling with her new responsibilities. But there are dirty rats lurking in Buckingham Palace – both literally and figuratively. Keen to take advantage of her inexperience, Sir John Conroy moves to control Victoria’s reign. By shunning him in favour of her Prime Minister, Lord Melbourne, Victoria begins to envelop the monarchy in scandal. From her fondness for “Lord M” to her terrible error of judgement with Lady Flora, Victoria leaves herself with a mountain to climb in the eyes of the people. Things go from bad to worse when Melbourne resigns in Episode 2, leaving Victoria with no one to turn to in desperation. When she bids to win him back by sabotaging Sir Robert Peel’s attempt to form a government, she only throws the system into further disarray. Writer Daisy Goodwin has done a fantastic job with the scripts, with plenty of memorable one-liners and twists at every turn. What really helps to make the episodes stand out are fun little extra scenes that help to add to the enjoyment. Victoria complaining about the look of her chin on the coin is a rare delight. “I look like a goose wearing a crown!” indeed. The ITV drama also exceeds in every other department. The music is suitably regal (notably the “alleluia!” title theme) and the aesthetics are a feast for the eyes. There are authentic location shooting and expert camera direction in every frame. The sets and costumes are lavishly designed, perfectly capturing the Victorian era on the screen. We’d be surprised if top hats aren’t back in fashion after this! The supporting cast happily steps up to the mark as well. Rufus Sewell’s supportive Melbourne and Paul Rhys’ cunning Conroy are two standouts, but the rest are no slouches either. Eve Myles and Tommy Knight (of Torchwood and Sarah Jane Adventures fame) put in convincing performances as Mrs Jenkins and Brodie. Even Victoria’s dog Dash is an instant and lovable favourite. It’s not all flawless, of course. The coronation scene, heavily promoted in trailers and screenshots, disappointingly passes by in a flash. It’s cleverly edited in parallel with scenes of Lady Flora in turmoil, but it’s a shame we don’t get to see more of the grand occasion. The spectacle of the piece, too, is somewhat diminished second time round when the “wow” factor is no longer as new. And, if we’re being especially picky, Episode 2 tells a slightly less gripping tale than the first. But these are incredibly minor quibbles in an otherwise fascinating pair of premiere episodes. We’re only a quarter of the way into the series, so perhaps it’s too early to say for certain. But as it stands, this show could well be Jenna Coleman’s crowning glory. Doctor Who introduced her to the masses, but Victoria could easily cement her as a force to be reckoned with in the acting world. Let’s hope the rest of the eight-part run keeps up this level of quality, especially with the exciting introduction of Albert yet to come. In short (no pun intended): Victoria is off to an absolutely tremendous start. It’s grand, it’s beautiful, and it’s brilliant. If only every history lesson were this captivating. 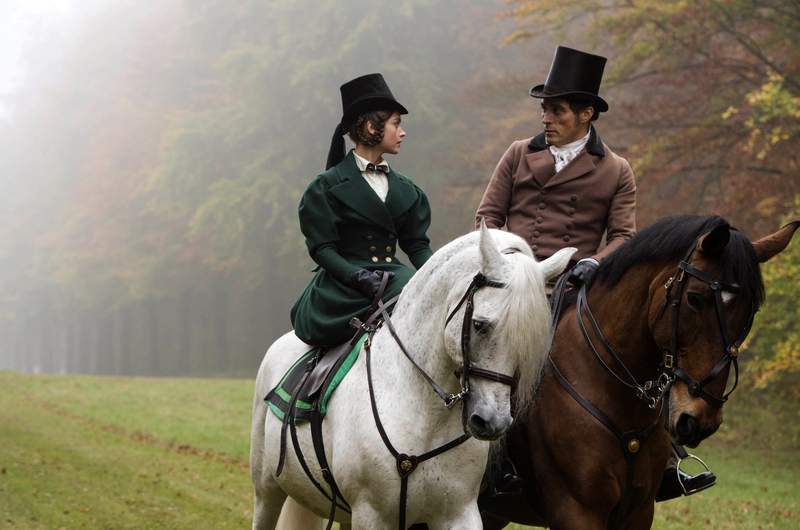 Victoria continues on Sunday 4th September at 9pm on ITV.